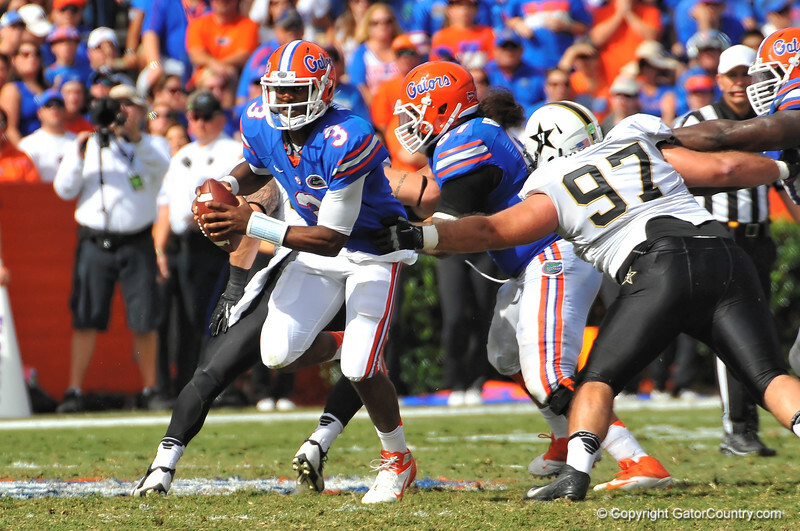 Florida Gator QB Tyler Murphy scrambles upfield and avoids the tackle of Vanderbilt DT Jared Morse. Florida Gators vs Vanderbilt Commodores. Gainesville, FL. November 9, 2013.